Grandmaster Kim immigrated to the United States in 1971. He helped his friend Master He Il Cho teach Tae Kwon Do in Rhode Island. He eventually started Chung Kim’s Black Belt Academy in Davenport, Iowa, and several years later opened the Family Fitness World school in Bettendorf as well. He now operates these two schools himself and has ten branch schools operated by his black belts. Grandmaster Kim states, “When I first opened my school I trained my students just like the military and with the old ways of Korea. It was very hard and very difficult training. My students soon dominated all the local and Midwestern tournaments. The training today is different; some things are better and some things less better. The techniques are the same but the harshness of discipline and training have been eased to accommodate a more broad range of students who can benefit from what Tae Kwon Do has to offer. 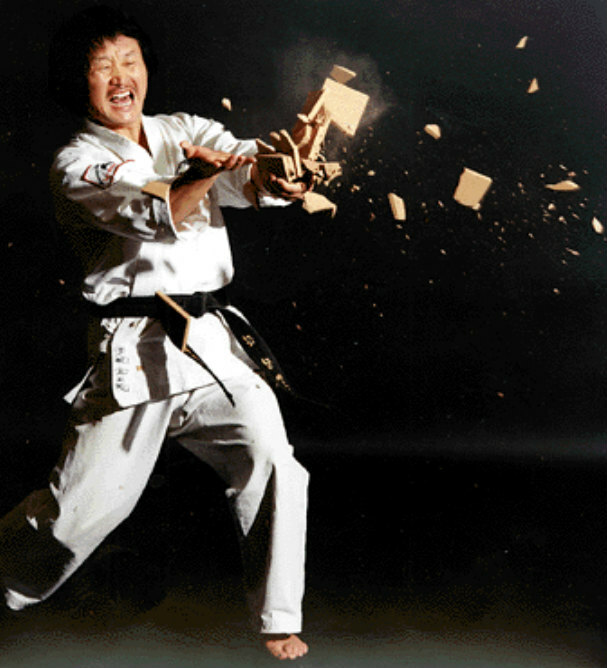 In 1980, Grandmaster Kim started publication of Tae Kwon Do Times magazine, now one of the leading martial arts magazines. Chung Kim considers his Tae Kwon Do students part of his family. His dojang, or training hall, in Bettendorf, was converted from a racquetball club to a Tae Kwon Do school by Master Kim and his students. This involved an incredible amount of work, including tearing down and rebuilding walls and floors, tasks that his students did freely for him because of their close bond. Grandmaster Kim presently has hundreds of black belts to his name, many of whom, like Duane and Linda Spellious, continue to do him honor by passing his training on to others.